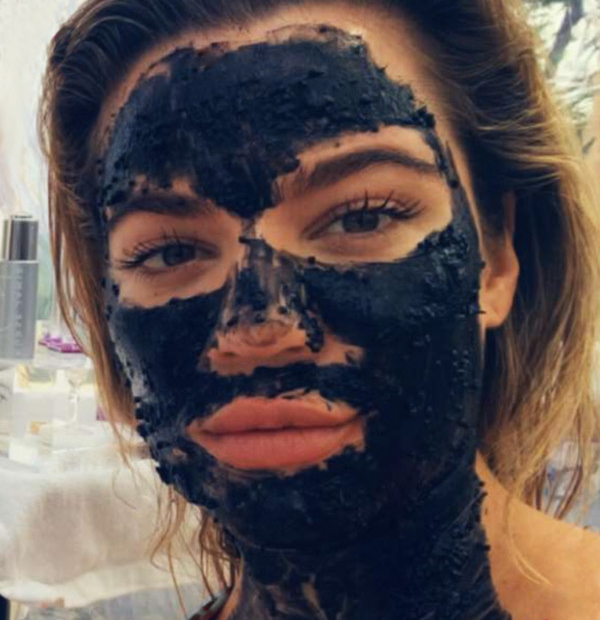 Top 10 Hottest Celebrity Skin Treatments! Top 10 Hottest Celebrity Skin Treatments! Top 10 Hottest Celebrity Skin Treatments! Nurse Jamie has Trademarked the name of her Baby Drop® Filler Technique. With a special “Gucci” needle and "Baby Drops" of filler we can smooth away wrinkles even on the day of an event, for instance the Oscars! We use a hyaluronic acid-based filler like Restylane or Juvéderm for natural looking results. This treatment takes about twice the time of a regular injection, but the bruise-free results are absolutely worth the extra time! Scalpels are becoming yesterday’s news, even in Tinseltown. “Surgery isn’t all that it's cracked up to be,” says Nurse Jamie. For Head-to-Toe Tightening, you get the Hollywood treatment, with your very own “non-surgical" team of registered nurses to tighten every inch! It’s like having the luxury of getting your mani and pedi done at the same time! “After having triplets, Mommy’s skin is not the same! I treat myself to this decadent treatment from time to time,” says Nurse Jamie, “Skin tightening is super popular in Hollywood. I’ve done eye lids and brows for numerous actresses right before red-carpet events. Instantly, the skin looks incredibly taut and there is no downtime, can’t beat that!” After this treatment, stars can head straight to hair and make-up. When her star clients need a lift, Jamie uses the AccentXL radio frequency device, no anesthesia required! The results are most visible in the 48 hours after the treatment. With four to five monthly treatments you can maintain the results for about a year. We have all seen celebrities do crazy things for attention, but the one thing they don’t want anyone to see is their 'frozen' forehead! For a softer, more relaxed look, we precisely inject tiny amounts of paralytic such as Botox, Dysport or Xeomin into multiple areas of the forehead. This way, people still have full motion to emote and act effectively without their skin looking like an accordion! Jamie says that the results of this more subtle approach will last about three months. Indulge yourself in pure luxury. The first step is prepping the skin. Before applying the caviar face mask, the skin is cleansed properly and prepped with Nurse Jamie Platinum 3 Restorative Facial Elixer. This helps in opening up the pores of the skin. Then, using our decadent Platinum 7 Rejuvenating Facial Cream mixed with Fresh Caviar as the base. The mask is applied to your face. It is left on for up to 30 minutes and then removed. After its removal, the platinum oil is applied to the skin. Thereafter, your face is steamed for about 5 to 10 minutes. This makes your skin brighter and smoother. This Caviar facial is one of the most luxious skin treatments available today. On its own, the acclaimed “cort shot” (cortisone injection) can shrink colossal zits within 48 hours. When time is not on their side, our star clientele demand faster results. “This one-two combo will greatly reduce the swelling and redness, if not make that sucker gone altogether in 24 hours", says Nurse Jamie. This is the no downtime facelift. It targets redness and works wonders on the skin’s texture and tone. It heals and tightens from the inside out to reveal radiant, glowing skin. If a star can’t get in to see Jamie, she tells them to pick up her EGF Stem Cell Complex serum and Beauty Stamp™ which uses a similar technology that you can do on yourself at home. Before stars take it all off for the camera, you better believe that they disrobe for their Nurse Jamie Beauty Park Dream Team first! “We’ll essentially redo the entire surface of their body,” says Nurse Jamie, who starts with radio frequency, namely the NIR to tighten loose skin right away. Also, in demand is the i-Lipo, a fat busting device that obliterates belly bulges, love handles and back fat. “Patients literally pee out the metabolized fat and they are so svelte, that they can retire their Spanx!, says Jamie”. There is a reason why celebrities glow on the red carpet like someone has plugged them into an outlet! Must be because someone has been to Nurse Jamie Beauty Park Spa to see the electrical aestheticians to the stars. The ACELLerator™ facial uses ultrasound to boost radiance, enhance lymphatic drainage, kill acne bacteria, wipe out dark circles, and even spark cellular repair. Say hello to “Pilates for the Face”! Your beauty regimen continues at home with the Nurse Jamie ACELLerator Ultra™ Beauty Device for Face & Body. It's a workout for your face and body, all in the palm of your hand. This hand-held beauty device helps to revive and revitalize skin in minutes. Facials with extractions can trigger more blemishes than they treat. With all that poking, it releases a flood of germs onto the skin’s surface. There is a smarter solution to this problem, developed by aestheticians. We apply gauze dipped in freezing-cold liquid nitrogen to kill bacteria and sooth the skin (which aestheticians in doctor offices are legally allow to use). Our Hollywood facialists stave off breakouts by following extractions with this bacteria busting peel!